Tap into the latest Plesk version for free! Nothing runs without a server. But maybe you are someone who says: What use is a server without the right tools, applications and functionality? Our answer: Plesk Server Solution. Whether you are an agency, WordPress pro, small or medium business looking for a suitably equipped solution – SERVER4YOU and Plesk have bundled perfectly arranged packages for your requirements. Higher productivity, lower administration is our motto. And naturally with SERVER4YOU you also make great savings. We know that agencies, WordPress developers and other WordPress pros don’t want to waste their precious time with excessive setup and administration tasks. These are the server solutions you have been waiting for: The Ready-to-Go package with masses of pre-installed and pre-configured applications. Now you can always remain at the cutting edge: Updates and extensions can be installed with one click in the state of the art Plesk Interface – optimal Performance included! As a small or medium business you are not only looking for real server power but also a ready-made hosting solution with many pre-installed applications for your email and data security. Here it is: our Plesk Business Server Solution! Reduce your administration time and costs to a minimum, comfortably manage your websites and business applications through a state of the art, intuitive point and click interface. Fire up the turbo now for more productivity! Just 1 click, save immediately: If you click our “Buy Now” buttons, you will automatically receive the 10% discount. Or place your order directly in plesk and enter our discount code: server4you-promo. Buy now, save long-term: The reduced price is valid for the lifetime of the contract. The complete, secure and versatile toolkit for Joomla! Its one click installer enables fast start up, secures against attacks and allows all Joomla! website performance data to be monitored via a dashboard. Exactly what you need to be found in the net. Improve your search engine ranking by testing, analysing and monitoring not only your own websites but also those of your competitors. Including SEO Advisor, Rank Tracker and Log File Analyser. The flexible, fully customizable and easy to start Website Builder. Alongside the basic functions the discounted premium version offers additional advantages, for example a greatly increased selection of design templates, a white label option as well as e-commerce functionality. Brilliant: Plesk Onyx is even free with us! Using the new WordPress Toolkit 2.0 you can copy WP instances and move data back and forth between versions like lightning. Web-Experts have never before been able to create, edit and publish sites so quickly and easily. No experimentation without an orderly staging environment, and with plesk you now have a user friendly central tool which will enable you to create projects for yourself or your customers in no time at all. SERVER4YOU is the exclusive launch partner for Plesk WordPress Toolkit 2.0 and offers this add-on to all versions of Plesk Web Pro or Web Host free of charge. Users of the previous version can update to version 2.0 at any time via Plesk ControlPanel, the update is naturally free of charge. Step 3: Ready-to-code – you are now ready to start your project! 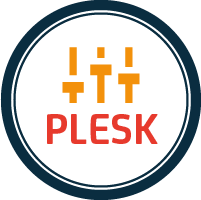 Plesk is the leading web operations platform for developing, operating and automating websites and applications. With the very latest version of Plesk Onyx, a system of unique complexity stands available to developers, system administrators and all other web pros, not to mention agencies and resellers - and also the most in convenience and time-saving. Besides the outstandingly popular WordPress, Plesk Onyx also supports all currently relevant programming languages, such as PHP, Java, node.js, html5, .Net, Python and many others. One further highlight: With its new multi-server environment and an unlimited number of integrable domains, it permits the support of numerous customers by way of a shared control panel. Take your special chance at SERVER4YOU: Super-affordable, high-quality hardware plus Plesk Onyx - and arduous, irritating server administration will be effectively over. In no time at all you will be ready-to-code! Many developers and other web professionals have been eagerly awaiting Plesk Onyx. The new administration tool has now arrived, to make work on your server also considerably easier. 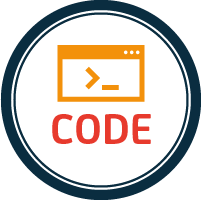 Ready-to-code is the motto - the tool fulfills this lofty claim like no other control panel before. It offers a proven spectrum of handy functions already familiar to you from Plesk 12.5. A multitude of further innovative features now make the tool incomparably effective. Do you work with WordPress? Perfect, then enjoy the comprehensive support offered. The newest multi-server support will also impress many users. SERVER4YOU is one of the few select partners worldwide with which Plesk is introducing this groundbreaking administration tool to the market. Discover for yourself why Plesk Onyx is so much more than just a control panel. From a mere insider tip, the Docker open source software has rapidly developed into a genuine ‘must-have’ among developers and other web pros. The concept of operating system virtualisation makes it possible to isolate applications within containers. Its most outstanding uses: With Docker, you can employ specific software (such as Redis, MongoDB, or particular versions of a software) which is not supported by your operating system or would otherwise have to be compiled. Whether it's Windows Server or Linux distributions like CentOS, Debian or Ubuntu versions: Work with the operating system of your own choice.